Description: This week we follow a different path into nature. Katherine is a writer and her book, A Book of Noticing: Collections and Connections on the Trail, takes us into the woods, down trails sharing with us her keen observations. Then she traverses into the research end to support what she has found with more accuracy. Katherine suggests we take more time on our hikes, meander more. Nature is full of surprises. Walking slowly, with more mindfulness and focus on one aspect in the stillness can bring many surprises. Join us for an enlightening discussion about observing nature and the art of nature writing. About my Guest: Katherine Hauswirth writes about nature and contemplation. 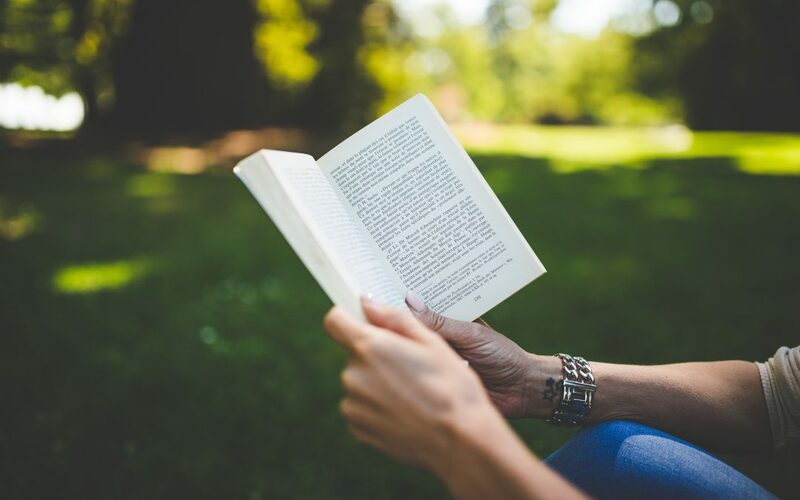 Her blog, First Person Naturalist, reflects on experiencing nature and she has been published in The Christian Science Monitor, Orion online, Whole Life Times, Connecticut Woodlands, and Spirituality & Health. She was an Artist-in-Residence at Trail Wood in Connecticut in 2015 and at Acadia National Park in 2017. Katherine won first prize in the Soul-Making Keats Literary Competition last year. Her book with Homebound Publications, The Book of Noticing: Collections and Connections on the Trail, received Honorable Mention for General Nonfiction from the American Society of Journalists and Authors in 2018. Blog: Goal Setting From the Heart: What Are You Wishing For? The end of the year approaches. Family and friends gather, we have some time off. What are your thoughts and dreams for 2019? Vision boards help us manifest that which we are wanting. With purposeful action and goal setting our dreams can come true. What’s your favorite goal setting tool? Following our dreams brings us into our heart space, our soul. What is your passion? Do you have the courage to follow that inner prompting, take steps to bring those dreams into the world? Not always easy, yet fulfilling in unimaginable ways. And we have so many great and fun tools to assist in this journey. My guest this week, Deb Sodergren, encourages us to sit mindfully with our goals, aims, desires and create an action plan. Taking thoughtful steps, accepting disciplined effort all help your dream manifest. To have a dream come true is simply awesome! Robert Ohotto’s book, Transforming Fate into Destiny, is a must for the journey and for understanding the difference between fate and destiny. Do you let life control you? Or do you follow a deep sense of knowing that which makes your heart sing? Not easy questions but Robert’s insightful expertise helps us understand the difference between fate and destiny. Understanding that which we want to create, taking appropriate steps to manifest those dreams can take us to unexpected places so we can live our destined life. Consider looking at your life differently. Last, but not least, here’s a day planner for the year with prompts and inspiration. Have fun with it. Tis the season for giving. Any gardeners on your list? Or perhaps you have family committed to helping the environment in some way. Maybe concerned about climate changes we are all facing? Gardens build diversity. Weeds supply nutrients. Trees create an invaluable ecosystem, complex and intriguing. Why I love this book: We enjoy a meal with artful presentation, right? From icings on cakes and cupcakes to garnishes on our main dishes, each flower or fruit carved into a garnish excites more than just our tastes. But, did you know there are flowers that can be added to recipes such as teas, salads, yogurts and cheeses that may be out of the ordinary? Yet these flowers are commonly found in our gardens. Rosalind Creasy, in the Edible Flower Garden, marries good cuisine and gardening. Her flowers/plants are arranged alphabetically which makes it an easy yet colorful guide. She includes How to grow along with How to prepare for each plant. In the end, she shares her favorite recipes. Any surprises? Yes, for me I did not know that lilac blossoms can be added to yogurt. Something to think about in the Spring. Why I love this book: In a word, COLOR. 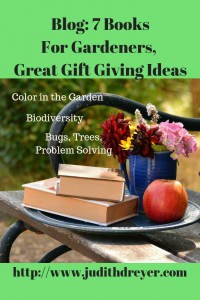 The author offers a color wheel and then lists plants by color to create a delightful and rewarding palette for anyone’s landscapes. He gives practical design tips, how to connect colors inside and outside to establish a flow between architectural designs, color schemes, and your favorite palette. I had an opportunity to create a larger garden off a deck. Mr. Smith’s book gave me ideas on how to implement the client’s needs with his inside view across a deck to a garden a bit below.deck level. His plant lists alone are worth the cost of the book but there is so much more to enjoy. Why I love this book: the table of contents makes it easy to find a plant family category and then look up problems. He uses an easy to read format I wish I could keep in my garden. Fun illustrations, graphics with a sense of humor and highlighted tips make it a treasure for the whole family. Plant suggestions, composting and recipes, this book contains so many worthwhile solutions, it’s a must. Why I love this book: I appreciate weeds! They are often maligned and zapped with harmful chemicals yet they are often powerhouses of nutrients. Their gifts are many, some are edible and are nutritious, some are medicinal and offer a helping hand to what ails us. And, weeds tell us about the health of our soil too. Ever wondered why your cucumbers did great but not the tomatoes? The weed that is growing in the garden bed next to it could be trying to get your attention and let you know what the soil needs, what the soil might be missing, what could be at too high levels. Mr. Pfeiffer ( 1899-1961) pioneered biodynamic farming in the US. He discusses weeds that appear each season and shows us what minerals are high or low. This is a new book for me, One I intend to take into my garden, investigate and observe more keenly what my garden is saying to me. Seems like I’ll be engaging in a new kind of conversation with my garden and I can’t wait! Why I love this Book: Did you know trees talk among themselves and help each other out? I did not know until recently how complex the forest’s ecosystem is in managing nutrients and survival. Trees produce thousands of seeds so one can survive and thrive to maturity. There are older trees that maintain the forest and when we unknowingly cut them down we destroy the invaluable aid and gifts she gives to the others in her care. Pretty amazing, isn’t it? And it’s holistic too. What happens to one affects the whole. Tending a forest for over thirty years in Germany, with keen observation skills, means we benefit. The author takes us through the life of a tree and shows us how gentler management yields more abundant results. He highlights in many ways how trees communicate and help each other. If one is stressed, the others through complex underground signaling, send some relief. I highly recommend this book not just for gardeners but for those who deeply care about this earth we live on. Why I love this book: One author is a geologist and his wife is a Biologist and together they marry the world of soils and gut health. And they garden and wanted to create healthier soils. Anne developed a serious disease which gave her the impetus to dig deeper. ( Yes pun intended) Together their collaboration gives us, the reader, an in-depth look at soil and how that relates to growing healthy, nutrient dense foods which ultimately brings us better health. 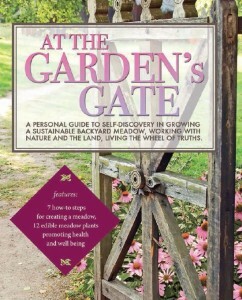 A must for the gardener and those who choose sustainable practices in our landscapes. Why I love this book: John brings us into the energy and spirit of nature that has helped him co-create beautiful gardens. While his gardens are Australian based I enjoyed his practical advice about paying attention to nature. Nature speaks to us in many ways. Working in the garden with mindfulness, you may be pleasantly surprised by what you feel. So many of the gardeners I know can’t wait to get back in the dirt, plant and tend their gardens where a feeling of peacefulness, some magical connection stirs us. His book covers many bases from composting, mulches, pond building and working with nature spirits and more. Practical yet poetic, a must for the beginner and the advanced. I love to read, always have. From fiction to sci-fi, young adult and non-fiction, my pile grows. And I couldn’t be happier. 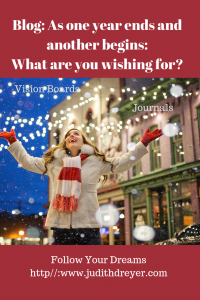 For these holidays I thought I would send out some suggestions from authors I have met through my writing groups including APSS, the Association of Publishers for Special Sales. These folks are dedicated writers, storytellers and I have learned so much from them about the craft of writing. So today, my note is brief. Enjoy the varied genres and brief descriptions. Remember all comments are appreciated. 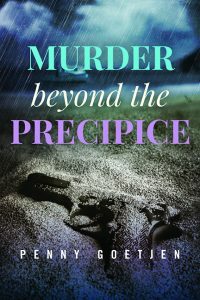 Book Blurb: Set in a deceptively tranquil harbor town on the coast of Maine, MURDER BEYOND THE PRECIPICE tells the story of the Livingston family who is no stranger to tragedy. Losing both parents at a young age in what authorities ruled an accident, Lucretia Livingston, the sole heir to the estate, is left to pick up the pieces. But many locals question the circumstances surrounding their deaths and if the family’s wealth was an irresistibly seductive motive for crossing the line. 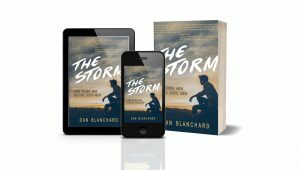 Book Blurb: The Storm is about a teen struggling with life in a violent and frustrating world. He’s trying to do what he can, but he’s angry about the hand life has dealt him. Then, out of the blue, his estranged and mysterious Granddaddy stops by to see him. They go for a walk in the park, and for one stormy and magical afternoon, Granddaddy talks about being a former WWII fighter-pilot, about his past, his famous friends, and about how he escaped a meaningless life. Judith Dreyer, is an international author, speaker, and educator. 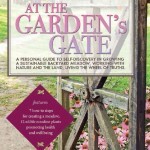 Her first book, At the Garden’s Gate, seeks to inspire us to look at our land spaces differently and ask important questions? Kathryn Orzech, Connecticut native, and seasoned world traveler writes mystery, suspense, and thrillers set in New England “and other exotic locations.” An avid film fan and news nerd, interests include history and geopolitics, society and culture, science and parapsychology, leaving few subjects off her literary table. 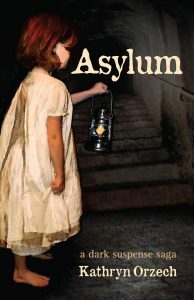 Book Blurb: On an innocent day in 1899 while her father travels abroad, twelve-year-old Maggie Delito unwittingly witnesses a shocking scandal. The next day, she’s dragged from her family’s estate and locked in an asylum to ensure her silence. Beneath the noted asylum’s polish of respectability, a wicked villainy hides in dank shadows—and Maggie fears she will be its next victim. Seventy-five years later, Laura Delito inherits more than assets when her prestigious family’s mysterious past comes knocking. After sacrificing an independent career on the brink of success, she assumes control of Delito’s failing jewelry business while daring to expose its ghosts—a strange old woman, cryptic messages, and a rare antique key that might unlock the truth. As she pursues clues from the Northeast to North Africa, she fails to see danger looming close to home. 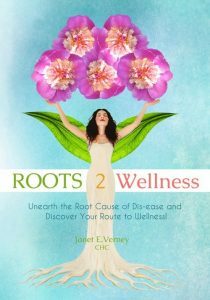 Book Blurb: Roots2Wellness is one woman’s story of overcoming a serious, chronic health condition. It takes you on a journey from a point of pain, sadness, and torment to living in wellness, love, and passion which changed the course of her life and can change yours…forever. So let go of that negative chatter in your mind, and get started on changing the course of your life forever. From altering thought patterns to choosing the correct foods, ROOTS2Wellness delivers many routes to healing, digging to the places deep inside where wellness begins. Whether you’re overwhelmed by feelings of fear or caught in a downward spiral of poor health, this inspirational read contains everything you need to begin taking action—and to enjoy the bloom of vibrant health that can only come from nourishing your roots. Caryn Moya Block: In January of 2012, Caryn Moya Block began her writing career with the debut of Alpha’s Mate which won the “Global E-book Award for 2012” in contemporary romance. She was also named one of the “Top 50 Indie Authors for April 2012” from E-Reader Reviews. Her novel, A Siberian Werewolf in Paris, was chosen as a paranormal category finalist in the 2014 RomCon.com Readers’ Choice Awards. Book Blurb: Aleksei Sokolov, a Shadow Walker-Lycan Hybrid, is trying to protect his best friend, Daven McCloud. He installs an Isanti security system in Daven’s Beverly Hills estate and assumes his identity. Stepping into Daven’s shoes puts him directly in the path of a killer, but it also puts him in the path of Sheridan Harbrook, who has been contracted to decorate Daven’s estate for Christmas. 7. 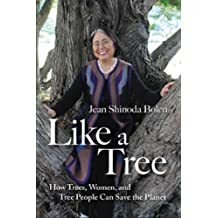 LIke A Tree: Jean Shinoda Bolen: International BestSeller: Non- fiction, Archetypes, Trees, Women’s Rights: One of my goals over the past couple of years is to keep track of all the books I read. I enjoy going back over them at the end of the year. We have amazing choices for our book tastes. Jean Shinoda Bolen’s Book, Like a Tree, touched my heart. She draws a parallel between women and the deforestation of our trees. Backed by research, myth and archetypal forces, she takes us on an incredible journey that has its heart in compassion, community and the desperate need for women and trees and its forest ecosystems, to be valued once again. Gratitude surrounds us this month, doesn’t it? We in the USA have created a day of Thanksgiving and regardless of how the story is told we spend a day together where many of us hold hands and give thanks. I was fortunate to have been with family and friends this holiday. It felt warm and lovely to break bread with them. I hope you have used Thanksgiving to give thanks too. No matter what is in our lives on any given day, we are here and we are participants in life. For that I am grateful. 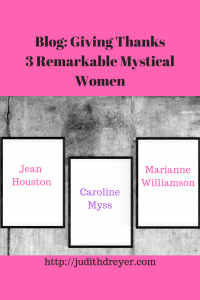 I decided to share with you my thoughts and feelings about three incredibly remarkable, mystical women that have truly inspired me along the way; some you may know and some you may not. Since I am an avid reader and love to teach, these women are successful authors and teachers. They have been the stars in my sky especially when clouds got in the way of clear viewing. 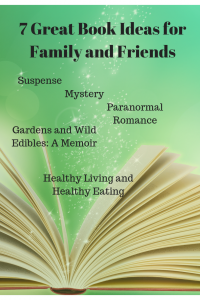 I am excited to talk about them and hopefully inspire you to pick up something different and amazing for your winter reading and for your holiday gift list. 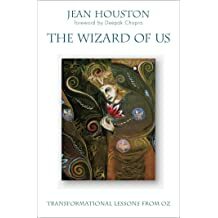 Jean Houston, at 81 years old and proud of her age, is a lover of life, genius, storyteller, philosopher, mentor, and world renown speaker and teacher. She has mentored me through her books to question the bigger picture. Her sense of humor reminds me to lighten up and think BIG. Her book, The Wizard of US, enchants us with the retelling of the Wizard of Oz from a symbolic point of view. In A Mythic Life, she recounts her “dreamland” upbringing in Hollywood and intersperses her worldview and philosophy. I admire that she has been called by many all over the world, heads of state, governments, including our own to bring her love, guidance, and possibilities of co-creating, finding solutions to the critical problems we face today. She brings style, grace, depth all with an eager heart. Thank you, Jean. Caroline Myss: Wow. She is like the North Star, a guide for a soul traveler. She too has authored many books and teaches all over the world. 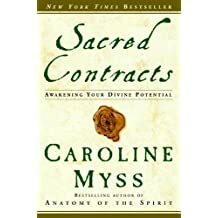 For example, Sacred Contracts, makes the world of archetypes understandable. As you may know, the world of dreams has been a passion of mine for decades. I appreciate her in-depth understanding of how our archetypes guide us. For me this work is invaluable. More than her books I admire the teacher she is who reveals the person she is. I have gotten online webinars from her website and I am continually impressed at her depth and her clarity. There is no other word I can think of that describes her dissemination of complex philosophical understandings and her depth of the world’s history other than awesome! Her willingness to serve and be of service comes through and reminds me again and again that I/we came here to help create a great world, not mediocre, not one we settle for, but a GREAT world. We have that potential and possibility. It starts with you and me. I continue to read most of her work. She has a blog, go to her site to sign up. I look forward to her blogs and her insights. I hope you will consider this amazing lady and explore her work. Thank you, Caroline. Marianne Williamson, another woman facing self and working to create a new world, the new earth. She too has been on the inner journey. Years ago, I c ame across an article on the qualities of a true leader from The Institute of Noetic Sciences. This organization is dedicated to asking questions and then exploring answers in science, spirituality, and nature. What can we do to improve this earth, where we are born where we play, create, explore and discover our potential. A true leader, they said, is one who goes on the inner journey and honestly knows oneself. Marianne is one such woman. Her books explore relationships, forgiveness, and love that use her understanding from the Course in Miracles as her springboard. Today she is daring to state our political process doesn’t work. How can we change it? What do we want from and can give to our political process that enhances our commitment to serve each other and not the bottom line? Remarkable. Marianne’s book The Law of Divine Compensation: On Work, Money, and Miracles. helps us get clarity on the law of attraction looking at our deeper self. Thank you, Marianne, for reminding me that miracles are a part of life. 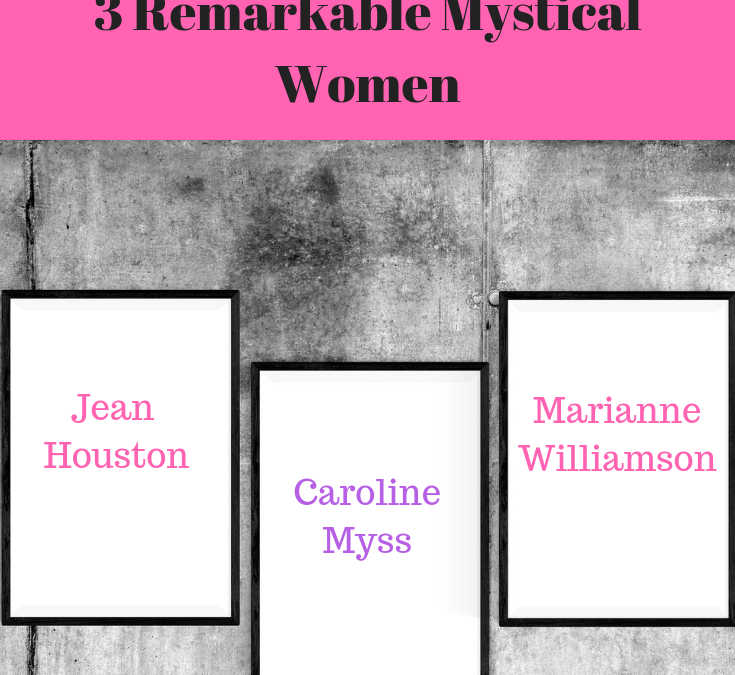 Three women living extraordinary lives because they have listened to the call of their souls, the Holy Spirit, the Divinity that dwells within them, that dwells in all of us. Their gifts have blessed my garden and I look forward to walking new paths. Their collective clarion call to us is to wake up to our authentic self, be grateful for the old story, let it go and pick up the mantle as co-creators. The new is unknown. Remember we have each other. Description: This podcast takes another look at holism from a practitioner’s viewpoint who experienced an out of body experience at the age of four. Meet Deb Sodergren as she shares her story, her wisdom about healing. Join us for an uplifting holistic discussion for health and well-being. About My guest: Deb is an Energy Body Vibration Expert/International Speaker/Author and owner of Up Vibrations, LLC. She graduated from the New England School of Metaphysics in 1998 and is a nationally certified as a Reiki Master Teacher and certified to teach Metaphysics and Meditation. She is also an Infinite Possibilities Certified Trainer. “My philosophy of healing is based on taking care of my clients with alternative healing modalities and sometimes with traditional allopathic medicine to ensure that the individual’s whole self is being maintained and balanced. I bring to my practice a deep understanding of the human energy field and the body, mind, and spirit connection as well as extensive training in the areas of Reiki, meditation, chakra balancing, vibrational medicine, channeling, death & dying, infinite possibilities mindset and others.